This is our 2003 E150 with a Regency Conversion. 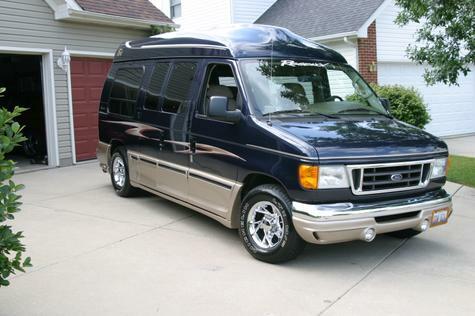 The van came with a 5.4L V8, limited slip and towing package. The conversion brought a 23 inch flat panel TV, surround sound, DVD, game console and VCP. I added the wheels, graphics, notebook based entertainment/navigation and a network access server (NAS). The NAS has 7.4TB of storage for all our movies, music, pictures, etc. It also handles the computer network in the van. We take this thing all over the country. It's our rolling family room. 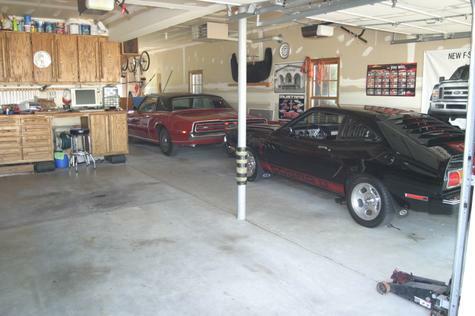 This 1968 T-Bird and 1977 Cobra II are the toys. You can see more on these on their own pages. The Wife's ride. 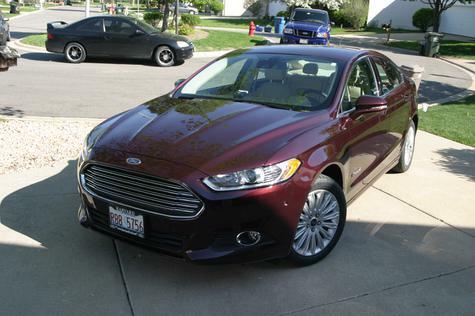 2013 Ford Fusion Hybrid. Most of the toys you'd get in an expensive luxury at half the price and 47mpg to boot.